It can get as bad as not having any money left to buy oil. Increased oil demand from rapidly growing cars can make it worse. Yet there is no sign of official agreement on who must take the lead to draft fuel economy regulations for cars to get more miles out of a litre of fuel burnt. When the push for these regulations came about two years ago from the prime minister's office and in response to public outcry, the ministries concerned were not certain if this was part of their mandate. And now suddenly multiple ministries have jumped to the fray to control these regulations. The ministries have got divided because the automobile industry has mounted pressure to prevent fuel economy standards. The industry instead wants standards for heat trapping CO2 emissions that are also linked to fuel consumption of vehicles. It fears that Indian consumers respond very strongly to fuel efficiency and this may increase the risk of liability and litigation. Therefore, the industry is trying to shift this rule making from the energy plank to the climate action platform to get CO2 emissions standards. The Union Ministry of Shipping Road Transport and highways (mosrth), which regulates toxic emissions from vehicles, does not have the legal mandate to regulate energy consumption in vehicles. The Central Motor Vehicles Act and Rules, 1989 allows this ministry to only make rules for "emissions of smoke, visible vapour, spark, ashes, grit or oil" and "standards for emission of air pollutants." Energy can be regulated only under the Energy Conservation Act, 2001 (ec) administered by the Bureau of Energy Efficiency (bee), under the Union Ministry of Power. The over arching scope of the ec Act empowers bee to set norms for any equipment, appliances, "which consumes, generates, transmits or supplies energy". bee can also specify any new equipment and appliance for the purpose of the legislation if it derives power from fossil fuel. 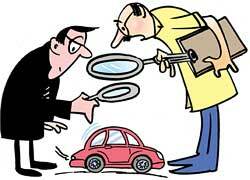 By virtue of this vehicles can be brought within the ambit of this law. The Integrated Energy Policy and the National Action Plan on Climate Change, which has asked for fuel economy standards for vehicles, further reinforces bee's role. Fearing loss of control over this crucial piece of vehicle related legislation mosrth has made a desperate bid to find ways to circumvent the limitation of the motor vehicle act to make a case for CO2 emissions regulations. It has set up a committee to propose CO2 emissions standards even though CO2 is not listed as a local air pollutant in India. mosrth's bid to attach primacy to CO2 standards for cars has perplexed all. Most puzzled amongst all is the Union Ministry of Environment and Forests that supervises climate action in India. India has not made commitments for direct regulation of greenhouse gas (ghg) emissions from any sector. Even the Climate Action Plan has categorically asked for "fuel economy standards for automobile manufacturers". Another player, Union Ministry of Heavy Industries, in administrative charge of the automobile industry, is reported to have challenged the legality of the bee process under the ec Act. Having crafted the Auto Mission Plan to nurture India as an auto hub, they are sceptical that such regulations may stunt industry's growth. The ministry has set up an inter-ministerial group to look into the matter. Also, the Society for Indian Automobile Manufacturers (siam) is challenging bee's role in regulating fuel economy of vehicles by raising doubts if vehicles can be treated as 'equipment' under the ec Act. For over a year, parallel official processes have been allowed to develop divergent regulations targeting the same product. There is no consensus on the lead agency or the type of regulation that India needs. Intervention of the higher authorities at the inter-ministerial level or perhaps the Cabinet are now slated to resolve this tussle. The bee-led fuel economy regulation draws legitimacy from the growing energy crisis. In India imports meet 75 per cent of its crude oil needs. Already under-recovery of spiraling oil prices is threatening to increase inflation and off-budget liability. Consumers have primary interest in fuel saving and only this can drive market towards fuel-efficient cars. Climate impact will be an ancillary benefit. It is estimated that fuel efficiency improvement of vehicles by 50 per cent by 2030-31, as envisaged by the Integrated Energy Policy, equals to removing CO2 emissions from seven million of today's four wheeled vehicles. But this crucial piece of energy regulation, needed so urgently to tackle energy crisis in India, has fallen victim to industry politics. This initiative can be ruined if inter-ministerial cooperation is not built to stave off industry pressure.